We're particularly interested in visualizing the new super tall developments along 57th Street in Midtown. 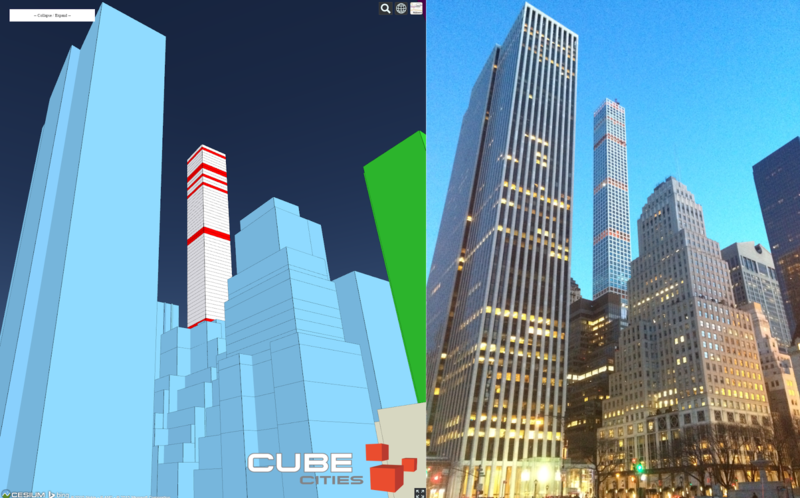 Here is imagery of 432 Park Avenue, the 1,396 foot tower that topped out late last year. Red floors indicate the suites remaining on the market in this luxury residential building developed by CIM Group. We'll share more visualizations of the other mega developments under construction in Manhattan soon. 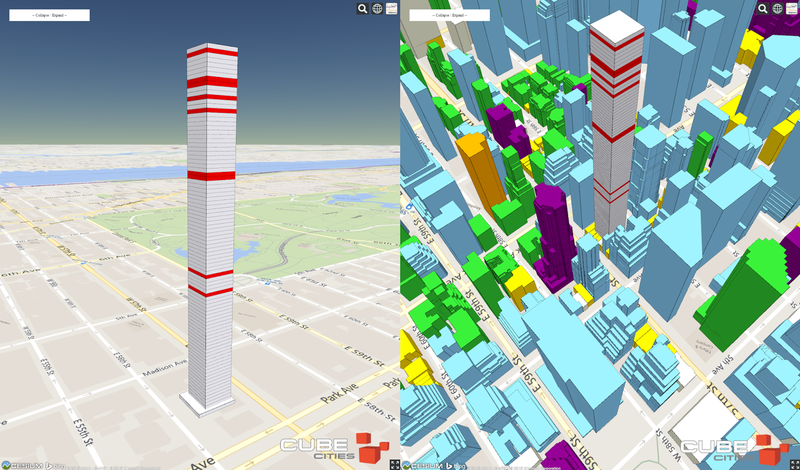 432 Park Avenue, background buildings colourized by building type.